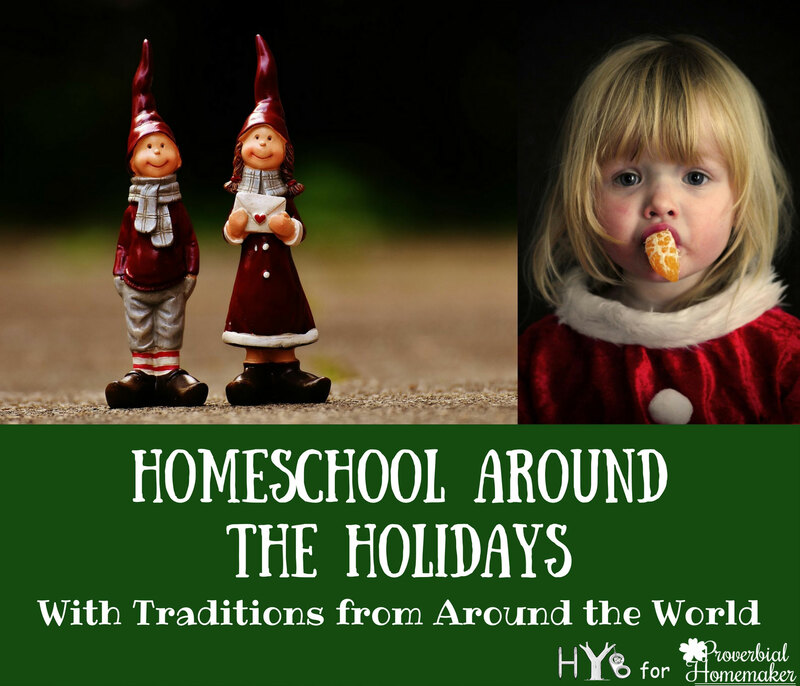 A fun way to homeschool around the holidays is to take some of the more unusual Christmas traditions and to incorporate them into your day. This is a good way for you to teach your kids about Geography, about cultures other than our own, and about Christmas in general. It’s also a great way to give yourself and your kiddos a break during a busy time of the year. Around the world, people celebrate Christmas in very different ways. Like in America, there is often symbolism which points to the coming of Baby Jesus in a Manger. However, there is also a surprising amount of traditions which involve evil spirits, witches, and superstitions. Fortunately, even if you don’t want to mix those dark subjects into your celebration, there are still plenty of other more benign traditions you can explore with your kids. A popular gift-giving tradition in Brazil involves those from an amigo secreto, a secret friend. These admirers give small gifts all through the month of December using a false name, only to reveal their true identify on Christmas Day. Try creating a Secret Santa gift exchange in your family or homeschool group. Canadians have many cookie baking parties and cookie swaps. Invite several friends over to bake cookies. Have everyone bring different ingredients. Split up the cookies at the end so that everyone has a generous plateful to take home. Only about 1% of the population are Christian so most people don’t understand the true meaning of the holiday – even though they manufacture the vast majority of Christmas decorations for the rest of the world. One tradition they do observe, however, is to give each other apples on Christmas Eve. This is likely because Christmas Eve in Chinese is Ping An Ye which is similar to the Chinese word for apple, Ping Guo. Have your kids do an apple exchange. You can purchase different types of apples so that they can see which ones are sweeter or more firm than others. Egyptians have a Holy Nativity Fast for the 43 days before Christmas. During this feast, they basically follow a vegan diet which means no meat, eggs, or cheese. On Christmas Eve, they attend a church service that starts at 10am and can last as late as 4am. They then have a huge feast which contains all of the foods that they weren’t allowed to eat during their fast. Try to observe this type of fast at your house – even if it’s only for one day. On Christmas Day, the Finnish people light candles on the graves of their loved ones. Visit a cemetery and light a candle on the grave of one of your loved ones. The French have a tradition where they dress up and eat a multi-course meal on Christmas Eve. They often have 13 desserts to represent Jesus and the 12 apostles. They also stay awake all night long to usher in Christmas morning. Try to have a large meal with your family and serve several desserts. See how long your children can stay awake. On Christmas Eve, German parents hide a pickle on the Christmas tree. The first one to find it on Christmas morning gets a small gift. Try putting a pickle ornament on your Christmas tree and see who can find it. You can even try hiding it each evening of December and let your kids try to find it when they wake up. Children in Great Britain write their wish lists to Father Christmas and then instead of mailing the letters, they throw them in the back of the fireplace, hoping the draft will carry them up the chimney and to the North Pole. If the child’s letter catches fire before it flies up the chimney, the child must write a new letter. Have your children write a letter to Father Christmas and mail it in whichever manner you desire. Most post offices have special spots for letters to Santa around this time of year if you choose to go that route. Icelandic children leave a shoe on their window sill during the 12 Days of Christmas. They awake each morning to find a sweet treat or gifts for them to enjoy. Have your children put one of their shoes on a window sill and you can surprise them in the morning! 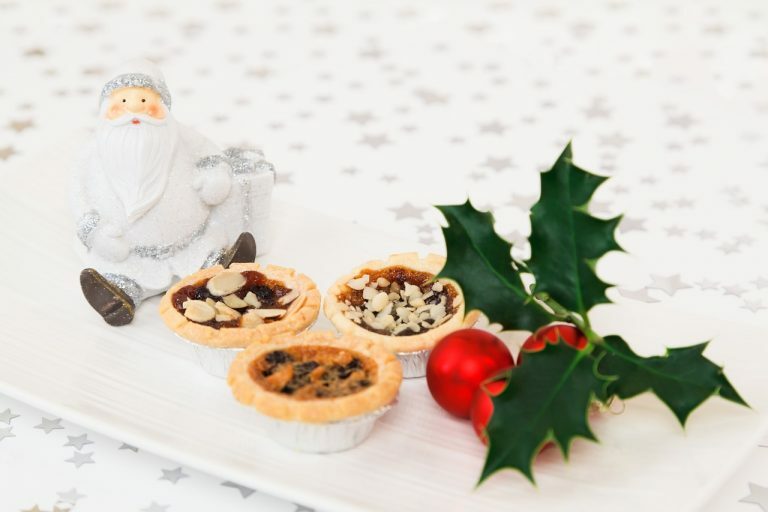 Rather than leaving out cookies and milk for Santa, the Irish leave mince pies and a bottle of Guiness. They also leave a tall, thick candle burning in the window on Christmas Eve as a signal to Mary and Joseph that there is room for them at their house. Have your kids help you make a unique snack for Santa and burn a candle in the window. With few Christians in Japan, Christmas is seen more as a time for spreading cheer than as a religious celebration. And the Japanese celebrate Christmas Eve more than Christmas Day. With a focus on couples spending time together, it actually is celebrated more like Valentine’s day. Young couples exchange gifts and enjoy activities like strolling around looking at Christmas lights and eating a romantic meal. The Portuguese have a feast on Christmas morning called Consoda, which is a time for remembering the dead. They set places at the table for their loved ones who have passed away. A Slovakian tradition is that the oldest man in the house to take a spoonful of pudding and throw it at the ceiling. The more that sticks the better. You may want to adapt this slightly so that you don’t make a giant mess. But any activity you can come up with that involves throwing pudding will probably be a winner with the kids. Rather than decorating the Christmas tree with tinsel, Ukrainians decorate with an artificial spider and web. Try decorating your tree with something unique such as artificial spider web. See what the kids can come up with! Venezuelans attend mass on Christmas, which is a tradition around the world. However, some Venezuelans have developed the tradition of going to mass on roller skates. That is anything but typical! As you can see, there are many unique Christmas traditions which are observed around the world. Pick a few that you think will interest your children. Point out the country that celebrates it on a globe. Look at pictures of the country in Google. Listen to some of their music. Try some of their recipes. And participate in a few of their Christmas traditions. This is a great way to have some fun while learning about different people from around the world! It will help us pay for most of the Christmas gifts we are going to buy. Thank-you for these Christmas resources. We are trying to pay cash to put our son through college and this would help sooooo much! Winning this would be a huge blessing for my family. It would help me get my mortgage up to date and leave a little for some gifts for my family. I absolutely love Christmas time . Especially when spent with family. I would also love to win a giveaway sometime. I haven’t even read to see if I qualify. Most times I don’t because Im Canadian. I enjoy signing up for newsletters anyway and hearing from different folks. Have a wonderful Christmas season!!!! Here in Catalonia we have a log or a tree stump called Caga-tió. We set it up on deaember 8th and the kids feed him and pamper him till desember 24th. On Christmas Eve the children atands in fron of him and they take turns singing the tió song while they whip him gently, some more than others… And at the end of the song the Cagatió poos a present! Would be wonderful to use for extra Christmas gifts. $500 would bless our family by giving us money to buy Christmas gifts since we had to spend our Christmas budget on car repairs. It would even give us some money to put back into the savings account. I don’t think I want to see how late my kids can stay awake! We are last minute and end up with things to wrap. Thanks for your blog and the giveaway! The prize would not only buy plenty of presents for our family of 7, and keep us from feeling a pinch financially in January, but we would have enough to get a few important household items we need, that never seem to get to the top of our priority list! Like new dishtowels! I would like to print out the Christmas from different Cultures to use in my daughters education. I love what you did with this n would to actual do some of these ideas. This giveaway would bless my family, as my husband is a construction worker and gets laid off in the cold Wisconsin winters. My family has been having some trouble with finances this past year. It has seemed like this year has been financially, emotionally, and physically horrible! So many things have come crashing down on us and it seems like there is no end to the madness sometimes. I know God has a plan so I am working on remaining grateful for the blessings we do have! We have a roof over our heads, food in the pantry and refrigerator and clothes. That is more than a lot of people can say so I know that we are extremely blessed! Because I am pretty good at discount shopping, an extra $500.00 would really help with Christmas this year. However, there are so many people out there that would really need this money more than my family, so if you find someone, please disregard this Comment!!! Thank you so much for reading this Comment! Please pray for my family and for all of the families that are struggling to get through the holidays! God Bless You! Christina, you are in my prayers. I understand what you’re feeling. I have to daily take a breath, remember that God is in control and grab hold of His peace because if not I spin out of control with worry over the finances. But we too have a home and clothes and never go hungry. So I will pray God’s peace covers your home and fills you and your husband up to overflowing!! Thank you so much – this was great! WOW! Who wouldn’t want to win $500! I’d definitely use this towards purchasing Christmas gifts and buying some extras for our homeschool. Thank you for sharing these ideas. I was thinking of doing some Christmas Around the World ideas and this gives me many ideas. We would be able to pay off some debts we’ve been chipping away at, and be able to up our savings because of that. It is fun learning about traditions from around the world. Hubby and I are planning our first big vacation next year — partially to celebrate our ten-year anniversary, but mostly to be in Germany for the 500-year anniversary of the Protestant Reformation. We could definitely use the cash towards traveling expenses!! I love your blog. Thanks for the opportunity to be blessed! Winning the money woul provide my son and i the funds to visit family and go on more field trips in our homeschool. This giveaway would help us so much. My husband had back surgery, so since he’s the only one brining in a paycheck, it’s been really tough for us, financially. We’d be able to give our kids a Christmas! Thanks for the holiday ideas! Winning this would bless my family in so many different ways! I can stretch $500 A LONG WAY! 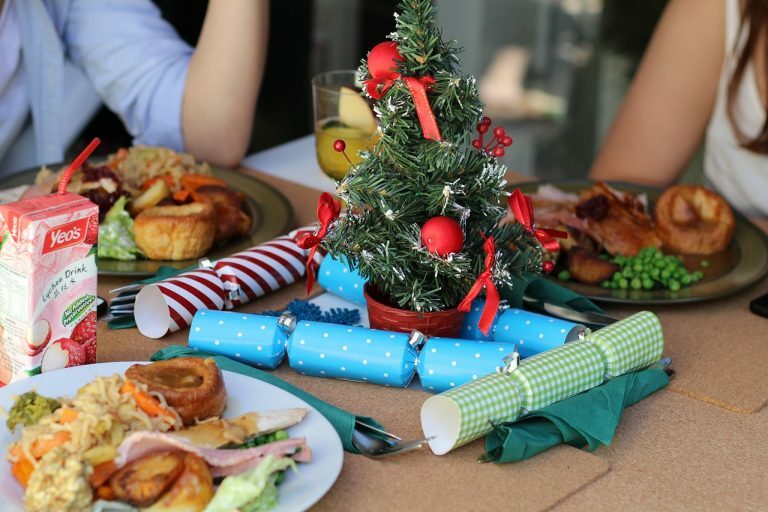 From a bigger and better Christmas tree, to a bigger Christmas breakfast, it would mean SO MUCH. Thanks so much for the Christmas around the world info! Also excited about the $500 giveaway opportunity!! Meet Christmas! This will be a blessing to buy Christmas and put on bills!! Merry Christmas! May God’s blessings be abundant in the coming year! It’s always fun to learn about the traditions of other countries, especially the reasons behind the traditions. Each year, on Christmas Eve, we choose a different country to learn about & celebrate their traditions! We have had lots of fun learning about many different places, so far! Thank you for sharing these traditions! We would probably use it to visit my family. They live so far and my girls don’t get to see them often. It would also help buy homeschool supplies. Thank-You for all the great ideas! I would love to win the $500 to put towards homeschooling curriculum since I will be a homeschooling newbie come Dec 16th & we’ve recently had to pay a large sum of money for a dyslexia program for our 10yr old daughter. Seriously I could have paid a full year of college with what it cost us. The $500 would truly be a blessing! Thanks for these great ideas and the opportunity for the giveaway. That would be a huge blessing! 500 paypal dollars would be amazing to help out my parents, who have become caretakers for my elderly Grandfather. Maybe buy them a weekend out of town! We have been working on buying a house for the last 4 months. This blessing would definitely make Christmas a little brighter for our family of 11 (soon to be 12)! Winning the $500 would pay for all our Christmas presents and some of our house payment. Great traditions to explore. That pudding on the ceiling is just a bit much although, I do believe my children would love it. The $500 would be an amazing gift and help us tremendously too. Great blog post and giveaway. I hope and pray your holiday season is blessed and wonderful. This is great can”t wait to print and try it with my kids thanks for your time placing it all together. I was given a Christmas pickle earlier this year. Now I have to remember where I put it. This will greatly help out at Christmastime this year. Finances are really tight! I would then use the rest of the winnings to give to a charity and to get a gift for my DH and DD. I was forced to retire from my teaching position due to my rheumatoid arthritis. My retirement pay is just 60% of what I was making. Mike just started working last month after being unemployed for 4 years, so we’re struggling to keep a roof over our heads right now. Thanks foir hosting this awesome giveaway! Praying & hoping that I win! These traditions are so lovely! I hope each family has something special they do for the holidays. Just being together is the greatest blessing for us! Winning would allow my family to eat. This time of year is always hard it seems. This would give the opportunity to worry a little less and focus more on my children and family. Winning this would be wonderful! This would be a blessing because we would use part of it to sponsor a family’s christmas from dinner, tree and gifts. The rest we would use to get some more baking supplies so we can make more gift baskets to give to neighbors. This money will help offset some recent bills due to sewage backing up into our basement…not once but twice in the last two months. Had to have it cleaned up, pipes cleaned and replaced, expense of not being able to stay in our home during this process because of the smell and gases. Anyway, it hasn’t been fun or cheap and we have been really watching our pennies. Thanks for the giveaway! So very nice of you all to do this! This is a great post! My husband’s family does the pickle thing and they gave us our own pickle ornament to do with our kids, but I haven’t made it part of our traditions… lol. I usually just put it on the tree and tell the kids the original tradition. Thank you for sharing about the different traditions around the world. My husband is from Mexico and our kids are now getting old enough to understand that in different parts of the world people do things in different ways. Have a Merry Christmas. This would help me pay off the loan I had to take out to get new tires for my suburban, as I found out yesterday my tires split in half. I already have Christmas figured out for the most part, but tires were an unexpected expense. These are interesting facts. Thank you for sharing. The money would help pay some bills, go to charity, and buy Christmas for my boys. Timely post as we will be studying Christmas around the world in the next few weeks as part of our geography studies. Thank you for providing some information all in one spot! This would bless us with money for gifts and groceries. We’re having the family at our house this year so I’ll be making a lot more food. Also, I’m trying the Trim Healthy Mama lifestyle and would love to have the money to buy some of the special ingredients. Thank you! Winning this would help offset costs this Christmas and/or help provide for homeschool and household materials. Winning the $500 would help us get more Angels off of the local Angel Tree and buy more clothes for our daughter who keeps growing after I bought her new winter clothes a month ago. We appreciate you all for desiring to be a blessing to others! In West Africa, we have an all night Christmas Eve service. There are carols and a sermon, but the biggest part is like a talent show. People prepar solos or skits. Some people memorise poems and recite them. There is dancing and lots of joyful praise time. In the wee hours of the morning, we all have a potluck meal together. It is a happy, crazy, tiring, but wonderful tradition. We enjoyed reading about different Christmas traditions from around the world. The kids are scheming about how to make them a part of our family. My kids and I learned about a Spanish Christmas tradition last year. It’s called Tio de Nadal, I believe. Everyone should look it up — it’s really cute. My sons cracked up over the idea of a log being told to excrete presents and candy (to be polite about the idea). Not everyone will find it appropriate, but I think it’s harmless — definitely not for the more reverent moments of Christmas, though. Christmas should definitely be spent with more of those than the stranger, funnier traditions. It would help us pay off some medical expenses. Thank you for the giveaway! Oh my goodness, this would make such a difference for our family as it’s been a tough year with deaths of precious loved ones and winning would be a joy, thanks! We have a few bills that are overdue and we could take care of that 🙂 Thanks for the chance to win!!!! I only buy presents for my two sons, and that entire budget consists of $400 from my mother. Our circumstances are pretty bad, so a $500 addition to that budget would give my children the Christmas I’d like to give them. It would be a blessing so wonderful. My husband and I decided that we would rather I stay with our daughter rather than putting her in school for now. While it was a joint decision, my husband is having to work twice as hard to cover the loss of my income. Additionally, we have had to face a surprise remodel due to water damage. He tells me not to worry, but I feel guilty that I am not bringing in a paycheck. That may sound ridiculous because I know I am working hard, but it is the way I feel. 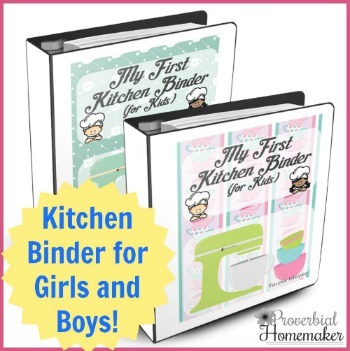 This would take some pressure off my husband and I for the Holidays, and I feel that is the best gift I could give him. The gift of $500 would richly bless our family. We have endured many hardships this year. This money would allow me to purchase Christmas for my family as well as bless another. It would allow us to have a regular chrustmas. We’ve had to cut back this year, and it woukd allow us the money to travel to see relatives, some of whom may no be with us by next christmas. Winning this would help us catch up on some medical bills. This would be so amazing and help pay for my children’s new playset for our backyard! This gift would allow my family to pay off one entire debt! It would put us halfway to being debt free! We did Christmas around the world last year, and it really helped the kids learn that there were so many different ways to look at Christmas. I think it is such a wonderful thing for kids to study! Winning this prize would be such a blessing to us for too many reasons to count. I guess the best way to say it would be that it would help us be able to give our kids a really special Christmas. Thank you for holding it! Ever since my daughter was born last January, we have fallen behind on bills. While we hope to reconcile that in January, this would help us pay off a portion of the debt we owe. It would help us get the kids a few more items for Christmas this year! Oh my, this would be such a blessing for our family!!! I’m an old grandmother who’s raising 3 grandchildren, have a 25 year old vehicle that’s falling apart and desperately needs parts to keep it running, a half-working refrigerator that needs a part we cant’ afford, and 3 grandchildren who would be soooo very blessed with a decent Christmas this year. Might even be able to have a Christmas tree this year too!! We’d like to save up for a family vacation to Hawaii next year! $500 would buy my family groceries for 2 months. It would really come in handy right now. Like the information about traditions from around the world. We would use it towards some unexpected medical bills from my son’s birth and surgery. My husband is currently out of work and looking for a job, so money is getting very tight. This would truly be a blessing! It would be the most amazing blessing! We are at the tail end of a very eventful and hard pregnancy. We’ve been spending several hundred dollars a week in pregnancy care. Money that wasn’t expected. Every little bit helps! Thanks for the opportunity! The giveaway would bless our family by helping pay for homeschool supplies for next year with have two going to be homeschooled. Thank you for the ideas. It is always fun to try new things for Christmas. Thank you for the opportunity for the PayPal cash. I think we would use it for a ski day while visiting my in-laws later in the winter. 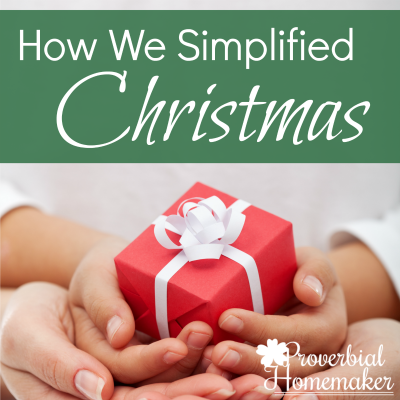 I’d love to knock off some Christmas gift items along with some homeschooling items from our wishlist. I would love to use the $500 to be able to get my husband a surprise Christmas gift, and take my family on a brief getaway trip. What an incredible way to bless some people! This money will help us surprise our loved ones with more meaningful and special gifts this year! This would help with gifts for my kids and get something for my fiance. Thank you for the chance to win!! We were supposed to set aside all of the small amount of money I make from my very part time job in order to have the funds to pay for our Classical Conversations tuition and fees next year mid summer. Well, sadly, we have not been able to do that due to unexpected circumstances and a surgery we are now receiving bills for as well. I know I am not alone in this and I’m not the only one dealing with hardship but to be honest, it really is draining. Winning this giveaway would be such a blessing to my family!! There are not many ways that I can put into words just how incredible it would be other than it would be a gift of peace. Thanks for this terrific opportunity. This will definitely help with my Christmas shopping. It would help with all the Christmas expenses. Help us get a little ahead so it’s not paycheck to paycheck. Winning this would help buy presents for my 6 kids. Christmas has been harder since my heart condition has put me out of work but my kids always have been great. They never complain and are always grateful for what they receive. It would be great to give them a little extra though. Thanks for the opportunity! Our bathroom needs a new floor and this would be a wonderful way to get that floor. We just had to have a new heat pump put in. Why do things always break down before the holidays? This would help me purchase the items on my kid’s Christmas lists and also go shopping for our holiday dinner. Winning this giveaway would bless my family because I didn’t have a job for two months. Our oldest son starts college in January, so this will be a big help towards paying his expenses. This would help us as my husband hunts for a job in the new year! 500$ would help pay down debt plus add to my school budget! Thanks for the great Christmas ideas! If I won this giveaway it would be a blessing because I could afford new tires for my car and I could concentrate on getting my kids gifts. It would not only help us provide gifts for the 6 kids, but it would also put a nice meal on the table for Christmas dinner. Slovakia’s tradition made me giggle. I loved reading about all the different traditions. The extra money would help me, my husband and our six children get to California for my sister’s wedding. This would give us enough money to make the 800 mile trip to our family in Texas much more do-able. Right now, I dread shelling out for gas & road trip necessities. 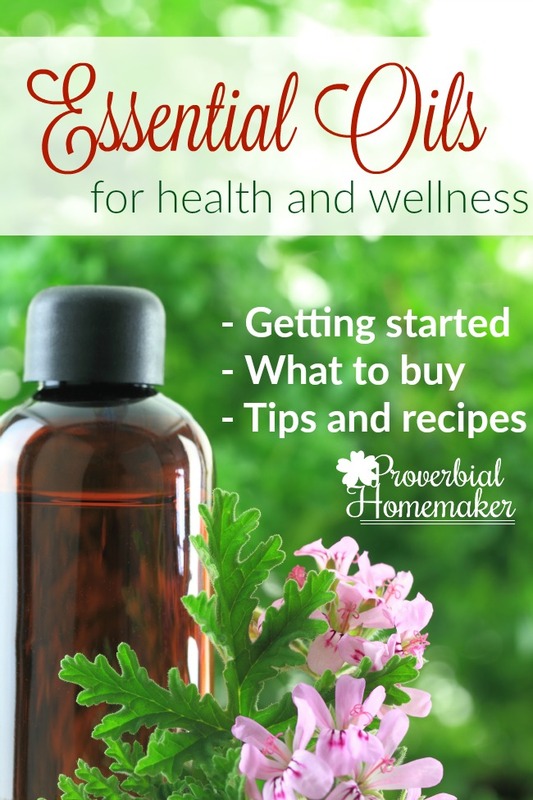 This would be so helpful right now as my husband and I are both self-employed and he wasn’t able to work for over a month, now we are awaiting our 3rd baby due TOMORROW! This would be timely with our savings account dwindling down. This is a very interesting article we have family in China and Thailand and love to learn about other countries around the world! Thanks for some interesting information on traditions from other countries. I think my children will enjoy learning about some of them and even trying some of them too! The cash giveaway is a great idea and will be a tremendous blessing to whomever receives it. Loved reading about all the traditions! Our family is having a different Christmas this year as we are saving to go on a month long camping trip next fall; also my husband and I are forgoing any gifts (birthday or Christmas) as we are redid our kitchen & cabinets ourselves. It would be a great help for us especially now that we’re still in the process of trying to recover from the tragedy that happened to us almost two years ago. We lost our home when it burned down on New Year’s Eve. We haven’t had the chance to celebrate Christmas like we used to; although we don’t really have any elaborate celebrations before. I would like to be able to buy gifts for our kids and maybe prepare a sumptuous Christmas dinner for the whole family. I would buy gifts for those I am not buying for this year. We are remodeling our family room. I’d use it for a new couch! $500 would bless our family by giving us the money to pay some of our bills. Thank you for the opportunity! If our family won $500, it would go toward our adoption fees. We will be traveling to China (hopefully in February!) to bring home our daughter, who is 6 years old. We can”t wait to bring her home! Thanks for the Christmas Around the World piece. So helpful to guide my daughter to think outside the box. Winning the giveaway would be an awesome blessing! We’ve been working for years to pay off all our debt – and we only have one left! This would be such a huge blessings to help us finally get rid of debt forever! Thanks for the awesome giveaway! I would use this money to bless two families I know that are struggling to keep their homes. Neither families can afford to give gifts or make the mortgage payment. I would like to relieve them of the stress and burden for the month so they can focus on the joy of the season. This would help me to spoil my husband who so richly deserves it! He gives so much to us and rarely puts himself first! He has eyes on tools that he refuses to buy because he would rather spend the money on the kids or me. Thanks again for another awesome giveaway and blessing another family! This is fantastic! 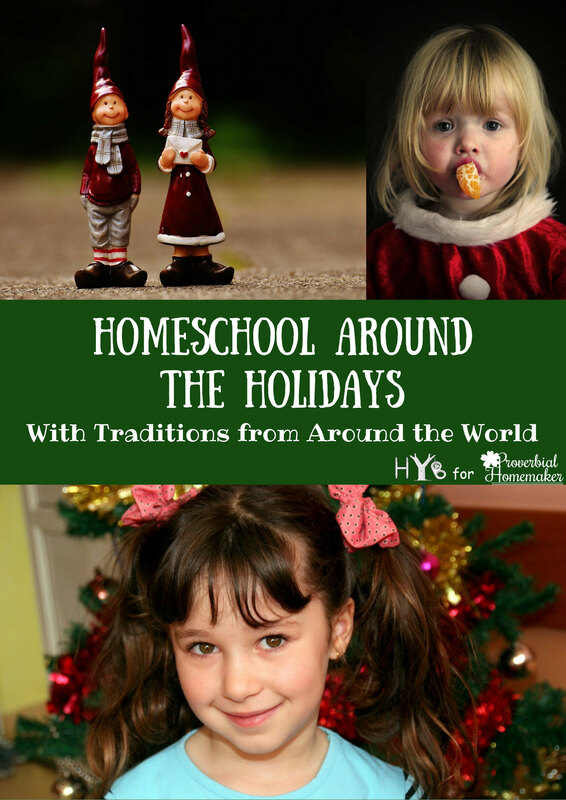 I am planning on doing the Christmas around the world with my kids for homeschooling, starting next week. Still gathering resources. Thank you for this! And the $500 giveaway is so sweet! God bless! This would help out tremendously this year! The extra money would be helpful to pay off some medical bills. What a blessing! We love learning about other cultures. We used to choose a country every year and then we would prepare a Christmas meal based on that country’s traditional foods. It was a lot of fun and a great learning experience! This giveaway would help my family afford Christmas gifts for extended family members and friends! The giveaway would bless our family as we go into the new year ready to buy our meat that we process and pay off our daughter’s oral surgery for her wisdom teeth! Thanks for all the info on the way Christmas is celebrated around the world. Very fun ideas. I’d love to win to bless a hurting family in need. This would bless my girls with sorely needed new clothes. They grow way too fast! Merry Christmas to everyone. We could pay off a bill or 2, which would definitely be awesome! Winning this giveaway would bless my family by finally buying them Christmas Gifts this year. I would help my children and grandchildren out with groceries. That is what is needed most right now. I am so blessed, I would love to be a bless someone else. My children could use it or someone in need. Our insurance only covers sick care, would not cover the compounded meds because they were not on the “approved” list), & only covers those who just want to give our kids drugs, which has done nothing for them other than to make them SICKER and confirm that mainstream medicine does not know how to look outside the box to find answers & healing. We FINALLY recently found an alternative doctor to help, & she doesn’t charge $400 per hour like one of the specialists we saw (we were beyond desperate when our one child couldn’t hold down any food & was in 24/7 pain for months with no help anywhere we turned; the doctor did help some, but far from enough, which was devastating for our family). Our new doctor found what all of the other scopes, scans, blood tests, ER’s, pediatric ER’s, pediatric specialists, hospitals, children’s hospitals, & specialists all missed.. She even has cash prices & has given us a discount because we have to see her often & we pay out of pocket to see her. She truly is AMAZING! The $500 would really help to continue to provide ongoing care for our girls w/the new doctor and also allow us to get the supplements that have finally been helping them, like digestive bitters, homeopathic spray for their ileocecal valves, the supplies to make digestive bitters, etc.. Thank you for the opportunity to participate :)! Wow! This is an amazing blessing that you and your fellow blogger friends are going to be giving away this year. If we were to win it would greatly help pay on our medical bills. Thanks for the opportunity! I was my mom’s sole (unpaid) caregiver for 10 years. she passed away a few months ago. I’m broken hearted and have no other family here. This $500 would bless me with the ability to do something special on Christmas rather than sit at home alone missing my sweet mom. We had our family vehicle break down on us on November 19th. This $500 would go towards purchasing a new car. Thanks for offering this giveaway! It’s truly in the spirit of the season. 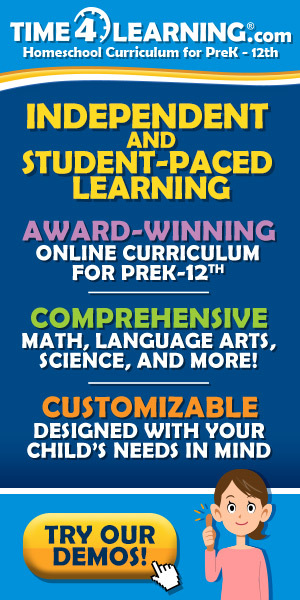 There is some homeschool curriculum that would be awesome to purchase with this. Our kids could use some new clothes as well. I could use this to buy Christmas gifts. This would really be a blessing to us. I’m a grandmother raising 3 of my grandchildren. I’m a widow trying to live on a small disability check because of many health problems. But the Lord has blessed us with a roof over our head, clothes, & food. We don’t have much, but we have what we need thanks to the Lords blessings. This would pay a few overdue bills , buy the children a nice Christmas & a food basket & toys for a family less fortunate than us. Thank you for the giveaway. God bless. This is a great idea to get away from the normal routine and put some fun in holiday learning but still accomplishing a lot of learning! Our family is expecting our 6th child January 9th so the cash giveaway would be a blessing for delivery and baby essentials!! Thank you for all you do on your blog to bless all of us! I cant wait to incorporate the different traditions of different countries in our holiday lessons. $500 would help so much with gas for the car and Christmas groceries. Happy Holidays! This money would help us greatly with buying groceries, clothing, and other every day essentials. Winning this would allow me to fly down and see my husband for the holidays. Which would be amazing!! This blessing would go towards Christmas gifts for a family in need and a family gift for my family. Thank you! This would be a blessing since our income was less than usual this year. It would also help us to bless others. If i win a new microwave will be in our home! It would help be able to buy some gifts. We haven’t been able to start yet since it’s been a bad year! Wow! This list is fantastic. We are planning on doing a Christmas geography unit next year and this list will help soooooo much! Thank you! There are so many things that $500 would help go towards- probably would help off set homeschool expenses and give opportunities for things like music lessons. It would help us buy a new door! We appreciate your Catechism Bible studies for the kids. Looking forward to using many more of your resources. Schooling. It’s not going well. Winning this would help me pay off some of my college tuition! I would take the money, and buy stuff to give to the needy. My husband was laid off the entirer summer, and it still hard with 7 children. Dont matter what my situation is we have a van, house, and food. My kids dont have gifts, and its 7 of them. We are bless to be alive, and have all the blessings we have. God is awesome, and I will never forget my struggles, but know God is there. I love these different ideas. We are going to try to do the French tradition on a smaller scale this year If I were to win the $500, I would pay off a bill and I would get my husband Christmas presents. As of right now my husband and I don’t have the money for presents for each other – just a couple for our kids. Thank You for sharing all the holiday traditions from around the globe!! It is always fun to talk about such differences. The most interesting of all is that same message is found almost everywhere…Through giving we receive the most.. Love, caring, compassion for our loved ones and complete strangers is our true purpose. Not only during these holidays, but throughout the entire year. So many families are finding just simply surviving difficult these days, Whether from lost jobs, falling ill or any other happen stance, there is much uncertainty. Thank you for joining your fellow bloggers and deciding to shed a bit more hope and light, into someones holiday. We can not all receive this great gift, but I am certain we all wish one another a wonderful and safe holiday and the most happiest of new years!! If I won I would buy my daughter something nice for Christmas and put some towards bills. Winning this would be a great blessing for us to help with travel to our families for Christmas. Thank you for the chance! So fun to learn about how other countries celebrate Christmas! We practice Second Christmas at our house. Christmas day is the day we celebrate Christ’s birth, and focus on what Christmas is all about. We celebrate the day after Christmas with gifts and family. Oh, and the 500 would go toward paying bills…. It will help us take a family trip and spend quality time together! Great giveaway! Bills & some gifts. What a blessing this could be. We have been starting our own business for the last 7 months (www.storymoment.com) and are financially in the negatives, barely scraping up enough for a mortgage payment. But God has been so faithful and we have been humbled by the love and help we have received. Money is very tight for us right now. Winning this would allow us to pay off our unexpected transmission bill faster. Thank-you for helping me live within our budget. I could use the extra for therapy for my special needs children. This would help us get gifts for all the kids and grandkids. We would use the money to travel to see family in another state. It will help me be able to have a great Christmas dinner with my whole family. As a single mom, it would help me give the girls a good christmas, not just gifts, but meals as well and baking supplies. We have been hit by a lot of financial needs this year. My daughter needs a BAHA hearing aid, and the out of pocket expenses will exceed our flex spending account a by around $1500, I have some health concerns that have recently developed, both cars need repairs, and we are trying to get out of debt. We could definitely use an extra $500! Thank you for sharing the different Christmas traditions! I am starting a Christmas lesson next week with my kiddos about the countries they have chosen to learn about, Puerto Rico, Italy and Mexico! Thank you for the Holiday Traditions post. We have an advent calendar that visits a different country each day. This post compliments it beautifully. Thanks for the drawing, as well. Thank you for the article ! It was fun to read about traditions around the world! What a generous, wonderful giveaway! Thank you for blessing someone in a very special way this Christmas. God bless you! Winning this prize would allow me to catch up on our electric bill. Winning would bless our family because we are very committed to making it a debt free holiday; with one income and 8 children, it’s not easy. This is awesome!!! I love all the insights about Christmas in different countries!! Just for clarification, in Brazil for the Amigo Secreto (secret friend) we don’t use fake names. On the day of the Amigo Secreto party, each one brings their gift and one by one a person stands in front of everybody and gives clues about who their secret friend is. We do the draw a few weeks before and we put a limit on how much the gift should be we also don’t tell anyone who our secret friend is – it’s a secret! So for example: Let’s say I drew Tauna’s name and she is now my secret friend. When my turn comes I would stand and say: “Meu amigo secreto ‘e… My secret friend is… very caring, she has a heart to minister to moms, she is a mother of 5 and it is always encouraging others to be… she is also known as the Proverbial Homemaker.” As you describe the person, others will shout out who they think the person is. The first one to get it right will be next! I would be very appreciative to win. There are so many “things” that keep popping up, and some extra money would be very helpful, and Id like to get a little something special for each one of us. I would use it to buy presents, pay off bills, and homeschooling supplies. $500 would be a blessing! We would take a half and use it to creatively bless others in our community and the other half would go to have a little savings. If I won, I would give it to my daughter and her family. They are struggling right now and this would definitely help them with their bills. This would be a huge blessing. I would use part of it on my family and part of it to help someone in need. Maybe have my girls hand pout supplies to the homeless. It would help us with our Christmas gifts but it would also help us with some extra needs that we have. What a generous giveaway! Thank you! $500 would provide my family with a good Christmas to remember. I want this Christmas to be special for ny family. We found out my dad has Lou Gehrig’s disease in August. He is the glue that holds my family together. It would be nice to have one last good Christmas with happy memories before he gets to the point where he cannot enjoy Christmas with us. I would use this money to buy gifts for our amazing family members who helped take care of us after my husband and I were hit head on by a young drink driver this past Aug. My husband was out of work for three months…so money is tight. This blog post was very interesting…the pickle on the tree was strange. This was a very interesting post. Such a fun way to teach kids about other cultures. Thank you for offering this giveaway. Winning it would help our family with some home repair projects or with curriculum materials for next school year. Thanks for offering this giveaway. Winning this would help us cover some home repair or curriculum for next school year. It would be a blessing because of less work where I work. I really like all the Traditions that you showed. I’ve always wanted to go through the different countries Christmas celebrations but never have had the time yet. $500 would really bless my family because my husband just is doing side jobs which are now his main jobs. His company doesn’t have work until April. We’ve been kind of struggling really badly but I know that God is faithful with all this and it’s making us look at what’s most important. Almost becoming minimalists 🙂 but at the same time there are so many needs and $500 would just bless us as far as food, clothing for winter, and everything else in between. Out water pipes randomly were spraying water this week and my husband was up real late trying to patch them. As far as gifts, maybe even new blankets and sheets for the kids. They do want certain things for Christmas and I don’t think I would be able to actually purchase them but my heart is to do just that. Thank you so much for all the many posts that you do I love all of them so far! Thanks for the opportunity to try to win. 🙂 Have a blessed week! I would love to win this. It would, definitely, help this time of year. Wow! What a wonderful post and a wonderful prize. it would bless our family significantly – either we’d put it towards the costs of moving somewhere a little bigger than our beautiful but tiny home, or on curriculum as we move from primary to high school. Thanks for the opportunity and Happy Christmas! This would be amazing – we’ve had lots of unexpected house expenses (like taking down a gigantic dangerous maple tree!). This would really help make our holiday great! I am loving the Christmas Around the World!!!!! What a great way to learn geography and culture! Thank you for all of the giveaways too! I’m sure it will be a huge blessing to anyone who receives these gifts!! Winning would definitely be a blessing to our family, it would allow us to pay for Christmas gifts without having to dip into our savings! Thank you for participating in this giveaway, and thank you for all the fun Christmas ideas from around the world! Thank you for the Christmas Tradition blog post. We have been looking for some new traditions since our Family Christmas Eve Party only has 2 small children. Also thank you for the the chance at the giveaway. Good luck everyone. What an awesome giveaway! We would give half the money to a family in need, and use the other half to help us pay off our debt. Thank you!! Winning this would bless our family by being able to have a nice Christmas and also help to get school clothes and shoes. I would love to buy a recliner for my husband to replace the one we just threw out! we could get a real tree, lights, decorations, a nice holiday feast and presents for everyone. Nice resource, thanks for sharing!!! I t would bless us by helping us accelerate our debt repayment. We are working our way towards financial freedom! We have had multiple plumbing emergencies crop up unexpectedly, and are still working through those problems. We are also planning to travel to visit my dad for Christmas to be with him after my stepmom passed away this summer. So $500 would be a real blessing right now. 🙂 Thank you so much for hosting the giveaway. Merry Christmas! Wow, $500! There are so many ways we could use this but I think we’d probably give part towatd our churches Christmas gift for the unpaid staff members and then use the rest toward work we need done on our vehicle. Thanks for this opportunity!